It's Magical Disney Sunday with Heidi from Fairy Footprints In The Sand. 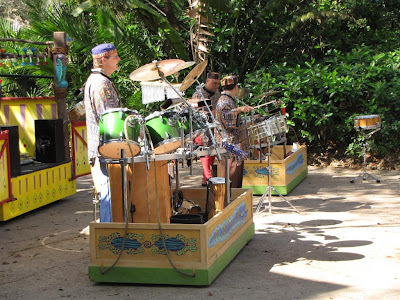 Today I am sharing pictures of entertainment at Disney World. 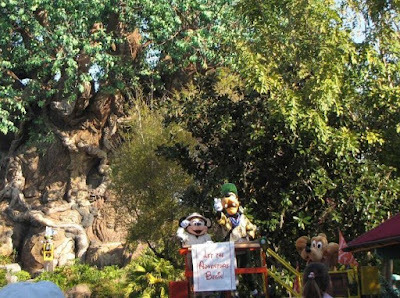 The first picture shows the characters welcoming everyone to the Animal Kingdom. They tell jokes and things to keep everyone entertained until the park officially opens. 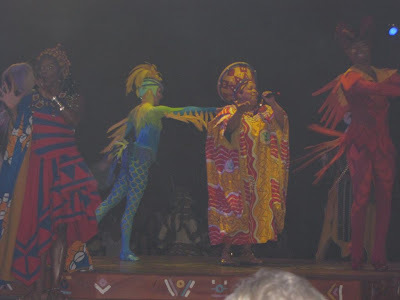 This one is from The Lion King Show. It's really a fun show, even though my then 1 year old slept through it, lol! Here's a band singing and playing instruments. We had to stop on the path for awhile to enjoy them. 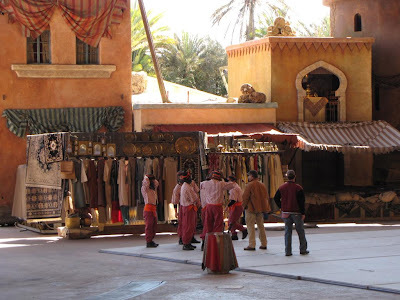 This is the Indiana Jones Stunt Show at Disney Studios. 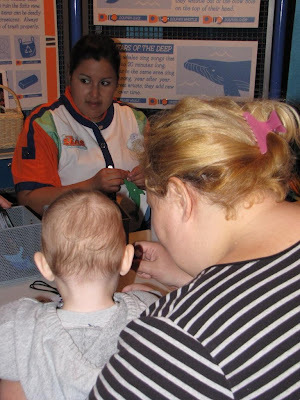 At Epcot they have Kidcot Stations to keep the little ones from getting bored. Kids go from attraction to attraction and can make things. Here, Hunter is making a necklace with sea creatures on it. He got to decorate it with markers. 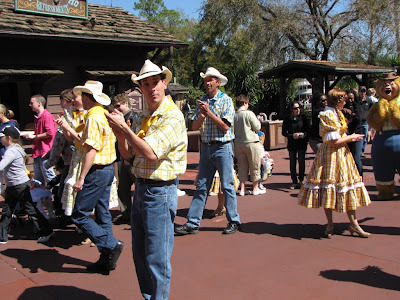 This is a group of cloggers in Frontierland in the Magic Kingdom. The last shot I have for today is of Illuminations from Epcot. Disney likes to end each night with a fireworks show. 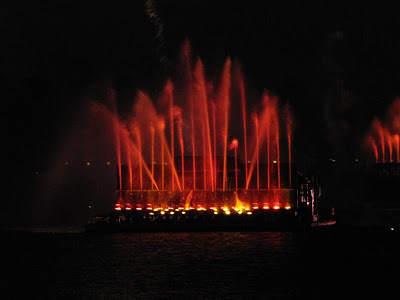 Illuminations is one of the best. Beautiful Disney Magical Sunday post. I wanted to pop over and read the other participants post this evening. Looks like you all had a wonderful time at Disney World. 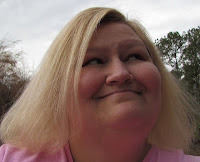 In reading your blog it appears that your family is struggling like so many of us are right now. We will be praying for you and your dear family. What fun photos Nancy. I love to watch clogging! Nancy I love your Disney Sunday posts they are so fun, you get the front row seat at all the excitement. The last time I was at Disneyland I was only 5 so I do not remember much but looking at your phots makes me want to save and go back so badly. It looks so magical and fun there. Thank you so much for sharing your family photos. I love your pictures. I've seen some of these entertainments but not all. It looks like so much fun! I've never been here before. I hope you have a little magic in your day!